The breakout artist — with a little help from Billy Ray Cyrus and others — has prompted an entire industry to take a long look at its racist past. Presumably, Billboard thought this would be the end of Lil Nas X’s country career. But it miscalculated. Spurred on by social media and such stars as Justin Bieber and Will Smith, the squabble became a full-blown controversy. Because while the “country elements” of “Old Town Road” are subjective, this fight is really part of a broader battle for the soul of country radio — and a much-needed reckoning with its racist roots. This fight is really part of a broader battle for the soul of country radio — and a much-needed reckoning with its racist roots. The strong arm of country radio — combined with Billboard's influence — has been slowly losing its vice grip over a genre that is becoming diffused across an endless array of platforms. And both institutions are no match for social media's ability to push artists past the forcefield of traditional methods of distribution. Indeed, everyone from the convention-bucking Kacey Musgraves to Walmart crooner Mason Ramsey has also been able to subvert country music norms over the past year. Musgraves, Ramsey and now Lil Nas X are living, breathing memes — able to rob the spotlight from other manufactured and vetted pop acts. In the process, they are pushing the limits of this very traditional genre — in good ways. Such stretching and exploring will both grow the audience and help to resolve some of the issues from country’s dark past. This plucking and pruning of the charts is not new for the monopolistic Billboard. It has weighed in on what should and should not be considered country music for approximately 80 years, beginning back when it referred to the genre as "hillbilly music." The publication removed songs from its charts for what it deemed inappropriate lyrical content, which it called "double-meaning records." According to journalist Nick Tosches, author of "Country: The Twisted Roots of Rock 'n' Roll": "When Billboard on March 25, 1939 published its first list of hillbilly records, it did so with a note that "double-meaning records are purposely omitted from this column." But that statement only addresses Billboard's censorship of country records at the time. There is also the issue of country music's origins as they relate to race and Billboard's role in that history. Tosches mentions elsewhere in his book that some of the earliest (white) country stars "such as Jimmie Rodgers, Bob Wills, and Roy Acuff, worked as blackface performers early in their careers." That created a shaky foundation on which to build race relations. It didn't help that Billboard was still publishing a minstrel show column the year it published its first "hillbilly music" list. While the sun was setting on America's minstrel era, the music industry became more covert about exploiting artists of color. The way that Lil Nas X is being treated — as an unwelcome guest — brings these historically closed doors into much sharper focus. While the sun was setting on America's minstrel era, the music industry became more covert about exploiting artists of color. With no real breakdown of why the song was yanked from the Top Country 100, the public's natural inclination was to theorize it had something to do with Lil Nas X being a black artist. Hip-hop beats, pop rap cadence and a treated vocal style associated with contemporary R&B are often used by artists at the forefront of country music's recent evolution — albeit white artists. Lil Nas X being singled out makes little sense in the context of artists like Florida Georgia Line and Brantley Gilbert. Then there’s the historic context. In many ways, Lil Nas X finding it hard to gain acceptance in the world of mainstream country mirrors a time when influential black artists found it difficult to get airplay on country radio. Artists like Arthur Alexander and O.B. Mcclinton made important contributions to the genre, but never charted particularly high. Meanwhile, white artists were able to play on soul records with fairly little resistance. The integrated studios of the soul music era have been portrayed as evidence of a mythical utopian musical past. But upon further inspection, a more complicated picture of integrated recording studios emerges. Beyond the self-imposed humiliation of America's minstrel show history is the fact that the erasure of black contributions to country music is baked into the foundation of the genre. Historian Patrick Huber attempts to shed light on this gross and willfully neglectful in his essay, “Black Hillbillies”: "Examining these prewar records on which African Americans performed can tell us much about the commercial hillbilly music of the 1920s and 1930s. Far from being historical anomalies, these records not only document the remarkable, though too-often unacknowledged participation of African Americans in this genre of American music, but they also reflect the significant amount of interracial musical cooperation that produced these recordings. Far more than being merely interesting and important examples of interracial musical collaborations, these prewar records also expand and deepen our understanding of the hillbilly recording industry during its formative period." The nearly century-long cover-up of country's black roots did not stop in the pre-war era. However, it was much easier to keep someone's background a secret before the rise of social media. "Old Town Road" being kicked off of the neo-hillbilly charts in 2019 draws a direct link to the genre's embarrassing past. 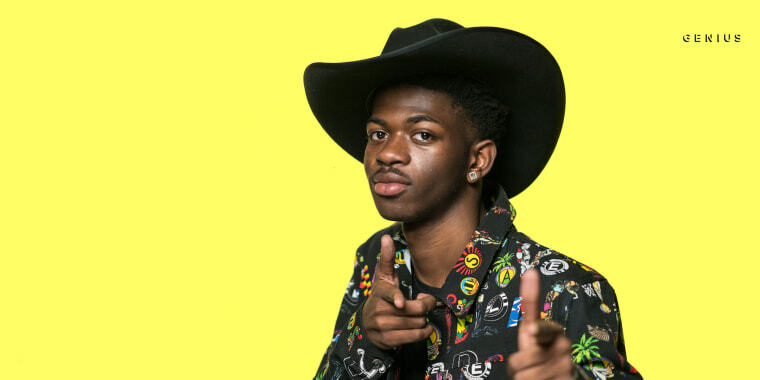 After the initial fallout, Lil Nas X made another subversive move by preparing a remix of "Old Town Road" with country veteran Billy Ray Cyrus. Within hours of its release, Twitter in particular was flooded with responses to the trending song. It was Cyrus who ultimately provided the clearest breakdown of the aforementioned elements that Billboard could not provide (via Twitter). "It was so obvious to me after hearing the song just one time," Cyrus wrote. "It’s honest, humble, and has an infectious hook, and a banjo. What the hell more do ya need?" The mention of the banjo in particular is a shrewd reference to country music's diasporic origins. Who better than a storied, denim-clad hitmaker like Cyrus to give his stamp of approval? While Cyrus is now being hailed as a hero — and certainly his wholesome dad presence has confused Billboard’s country machinery into tempering its initial judgement — what does it say that Lil Nas X is still expected to show up with a white man in order to be invited to play? Judging by the current ubiquitous presence of "Old Town Road" — especially in relation to the NCAA Final Four over the weekend — the song isn't going away. It may not be a Billboard-approved country hit, but it is a hit nonetheless as it currently climbs the Billboard Hot 100 (across all genres). Much like music, sports is supposed to be one of the great unifiers across, race, ethnicity, class and background in our ever-fractured society. Billy Ray Cyrus and Lil Nas X have not "ended racism," as Twitter pundits lightheartedly posited. But they have forced an entire industry to take a look at its crooked past and work on a more equitable future. Whatever Lil Nas X does next with his career, he’s landed quite a direct hit on a music industry Goliath. “Old Town Road” is now the number one song in the country. Christopher Mosley has been a writer and editor since 2006. His writing can be found online and in print at outlets such as NBC Latino, The Tulsa Voice, and The Dallas Morning News.